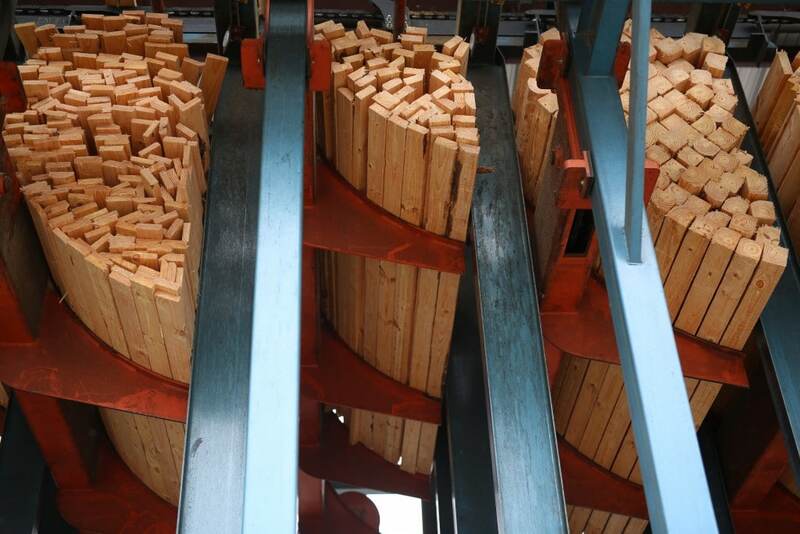 High Tech Timber: The Modern Sawmill | Wood. It's Real. | Wood. It's Real. Think of how wood is sawed. For most people, this brings to mind an image of a lumberjack using a gigantic saw or an ax to cut through a log. While it may look pretty awesome on TV at the World Lumberjack Competition, it’s totally not how modern sawmills work. Modern sawmills are models of efficiency, home to lasers, computers, and, well, gigantic saw blades. The journey from log to lumber is a pretty cool and surprisingly high tech process. Here are some videos and pictures to show you how it works. The systems at most modern sawmills allow the machines to gain data quickly on the wood that passes through them. This is actually achieved by a laser that scans the log as it passes through the mill. As the log flies by on a gigantic conveyor, the laser scans it to find out all sorts of information. 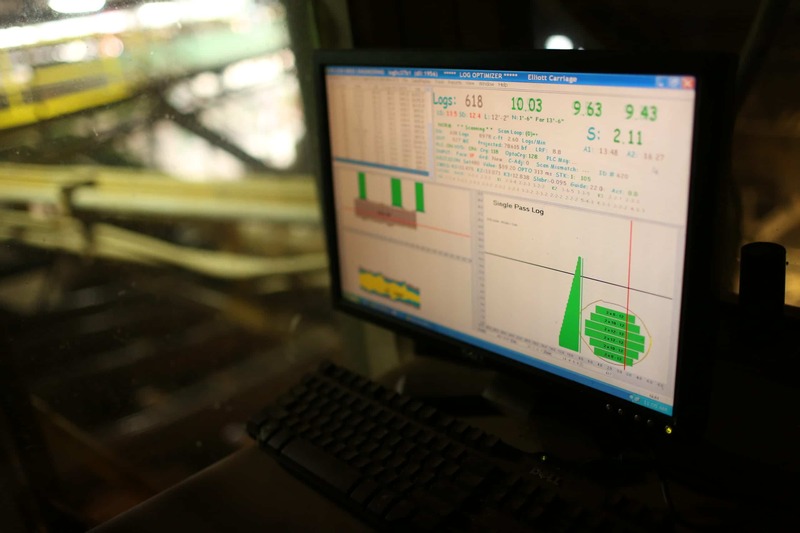 The computer software powering the laser calculates and optimizes each log that passes by. A graphic of the log shows up on the control room screen and actually calculates the value for that one log (based on market information that’s fed into the system). After the computer determines the optimized cut for each log, the saws take their cue and get to work. Flexible saws can be controlled in such a way that they follow the shape or bend of a log, allowing more yield and the resulting boards that come from it to be stronger. A gigantic, loud, and awesome gang saw has lots and lots of blades that cut multiple boards at once. All at the same time. Within seconds. 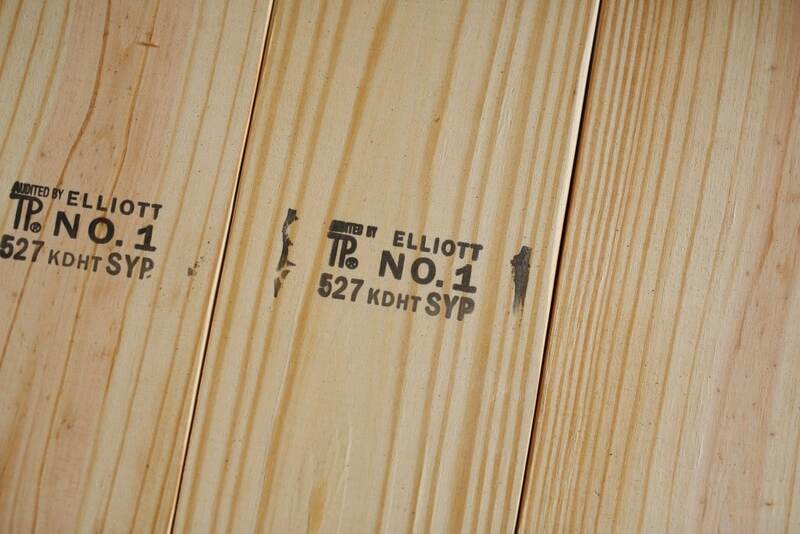 Throughout their journey at a sawmill, logs – and then boards – are sorted by length, width, and grade by computerized systems that are able to make these measurements in seconds. 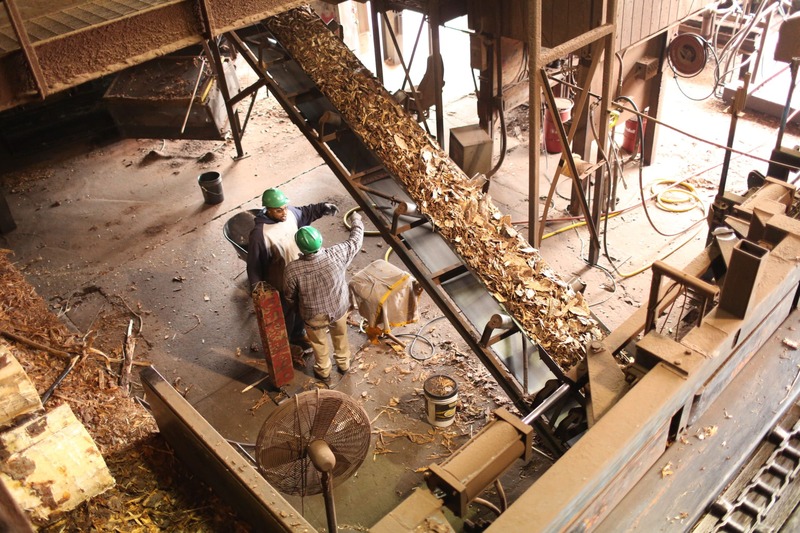 Other technologies used in sawmills include metal detectors to identify logs that might need to be inspected for metal items (such as nails) that can damage the saws or send debris flying everywhere. 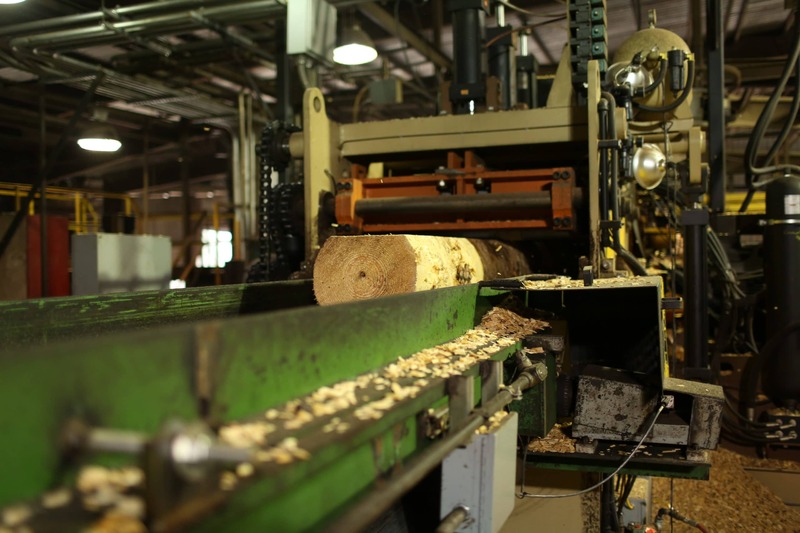 All of this technology means that nothing goes to waste in a sawmill. Since the computer systems used are so efficient, literally every fiber of a tree is used for something: lumber boards (of course), saw dust, chips, or small leftover pieces of lumber power the kiln, bark for mulch, leftover small pieces of lumber for paper mills. Sawmills are zero waste, carbon neutral (and even carbon negative) facilities. These are just some of the technology used in modern sawmills, and they serve as a friendly reminder that making lumber is an amazingly complex process. Looking at a board in your local hardware store, it can be easy to dismiss lumber as a simple product. The reality is, it takes very sophisticated high tech processes and systems to produce it, and you’ll surely appreciate it more the next time you see it or use it for a project.